One factor that makes a good business energy supplier is the ability to handle complaints in a timely and professional manner to minimise impact on their customer’s business. 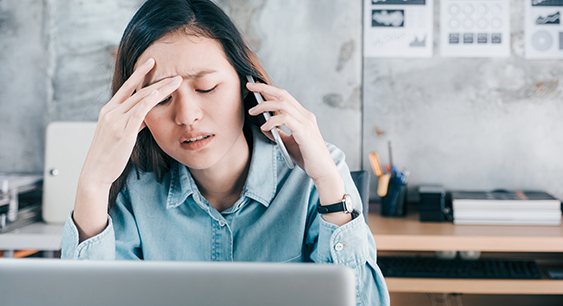 As a business energy customer, when you need to log a complaint and you’re greeted by a rude or uninterested member of staff, it can often exacerbate the situation, leaving you angrier, more frustrated, and often feeling helpless. However, it’s important to know that if you do encounter a rude member of staff, there are always avenues to explore in order to resolve the situation. Below we take a look at what you should do when you encounter a rude member of staff when complaining to your business energy supplier. The first thing you should do is make a note of their name, the time that the call was made, a reference number for the call (if available) and what it was about their behaviour that was inappropriate. Once you have all of this information, you should write to your supplier’s customer services department, informing them of what happened, and providing all of the relevant information. You should expect a speedy response from your supplier, and in the response they should outline the course of action that they intend to take in order to resolve the issue, and they will typically reassure you that they value your custom. If you do not receive a response from the customer services department, you can escalate the issue to the CEO 14-days after you sent the initial complaint letter to the customer services department. If you still receive no response within 14-days then you are free to escalate the issue to the energy ombudsman, who will independently investigate the situation. Please note: When escalating the issue to the Energy Ombudsman, make sure you also provide all of the information you recorded from the call, as well as any supporting evidence that you might have. Following the Energy Ombudsman’s investigation, they will decide on a ruling that all parties are obliged to adhere to. Remember, if you are not satisfied with the service that you’re receiving from your business energy supplier, then you should switch to a new supplier as soon as you’re able. When switching supplier, it’s important not to make price your deciding factor when choosing quote. You should also consider the level of service that each supplier offers, to ensure if anything goes wrong in the future, you can easily resolve the issue. If you are unhappy with your current supplier, why not contact one of our business savings experts who can help you not only find a new supplier, but also save your business money.